View from Kitchen over looking Cellefrouin Village with Normandy church. 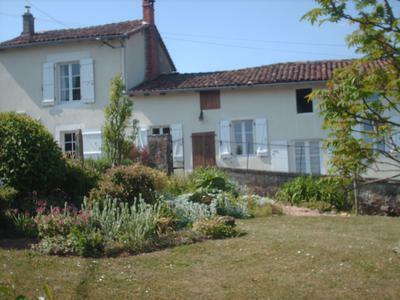 Situated in the SW of France in the Charente region is this beautifully well maintained Mid 1800’s 3 Bed house. 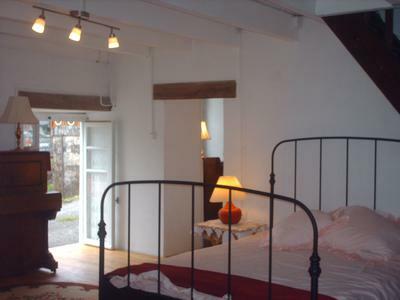 The property is conveniently situated with in a 30 min drive from Angouleme town and 60 mins from Limoges airport. 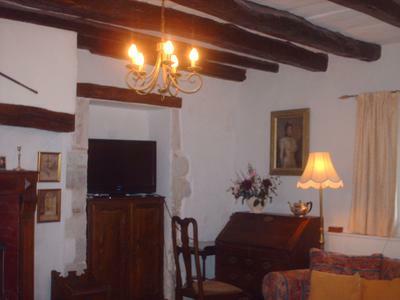 Characteristic to the area the house has original wooden floors and beautifully shaped beams throughout the property, the internal foot print is 117 Sq meters. The present owners have sympathetically up graded the property and kept its original features, recently a new kitchen has been installed and an annexe built with en-suite. 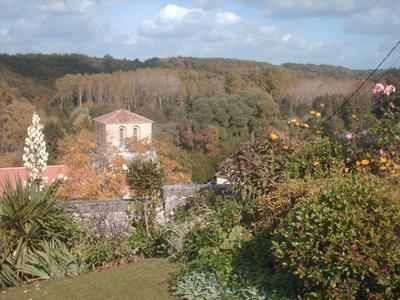 A well nurtured passionately landscaped garden over looking the village of Cellefrouin, that pre dates the Norman Conquests. In addition there is a barn which has been re roofed and is presently used as a work shop and garage. There is a detached Garage / workshop 30sqm / garden shed of 5sqm with a recent new roof that has been updated which Is next to a terrace equipped for summer kitchen with stunning views. At the rear is a terrace with matured fruit trees, lawns, flowers and shrubs, the front gdn contains a dining area with hillside and grassland views over looking the wooded valley of the river son.